Would you buy food that’s past its Best Before date? 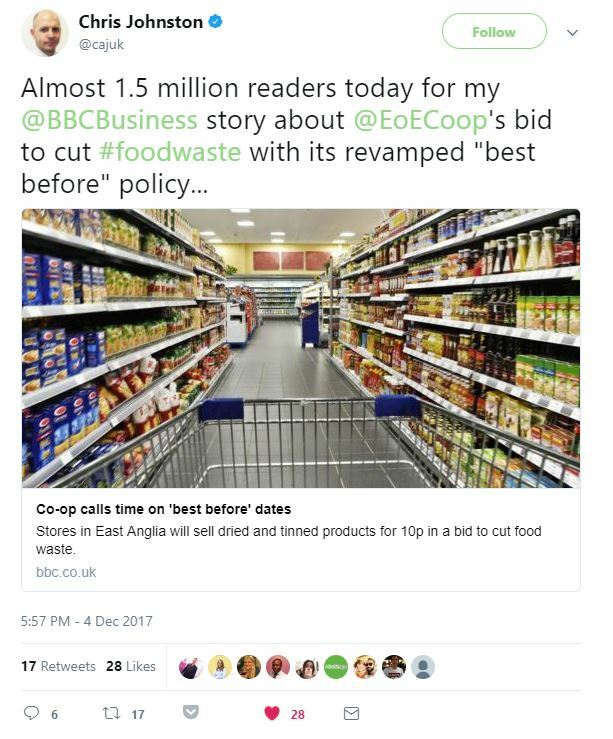 That was the question on everyone’s lips yesterday as Pier secured blanket media coverage for client the East of England Co-op. 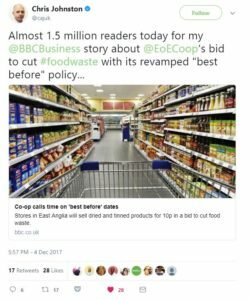 The announcement that the East of England Co-op is the first major retailer to sell food past its Best Before for 10p caused a sensation in the media and Pier was at the forefront of the campaign. The day started with national front pages on The Times and Daily Telegraph and spots on BBC Breakfast and Good Morning Britain. 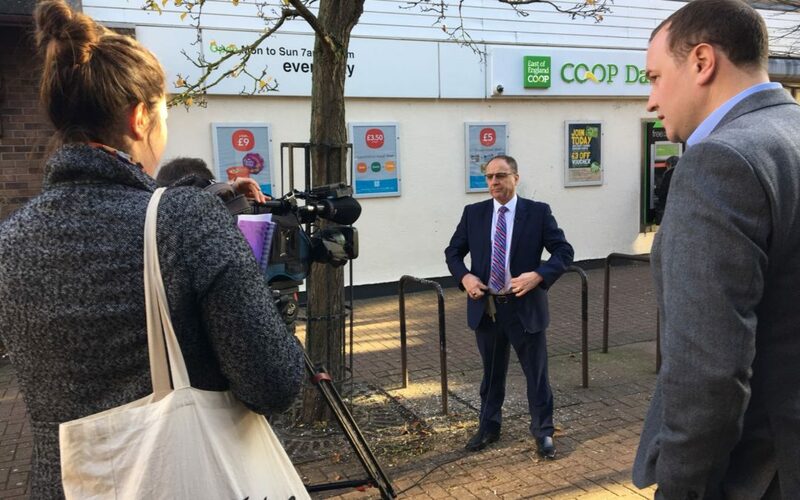 We arranged interviews for the Co-op’s Joint Chief Executive Roger Grosvenor on BBC Radio Four’s The Today programme and TalkRADIO, while the media interest continued to rapidly ramp up. Crews from Sky news, BBC news, ITV news, Channel 5 news and ITV Anglia turned a Co-op store in Essex into a mini media circus, with cameras and mike booms down every aisle. With careful media management, Pier reached millions of people with coverage on almost every major national TV and radio network, and on hundreds of newspapers, local radio stations and national news websites in the UK and even around the world. It’s been a fantastic day for the Pier team and we are incredibly proud and pleased to handle such a major announcement for the East of England Co-op’s ground-breaking new initiative. To find out what Pier could do for you, get in touch.